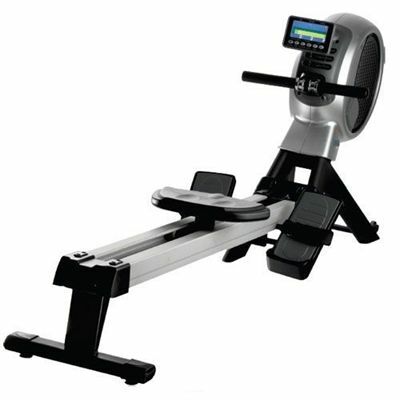 The DKN R-400 rowing machine is ideal for working out your upperbody, arms, legs and abdominals. It provides a natural fluent exercise motion, without any negative impact neither on joints nor muscles. The machine has an 11 kg flywheel and offers a double resistance system that combines an airfan with a magnetic resistance. Beside the 16 resistance levels, the machine offers 12 pre-set courses that ensure challenging and motivating workouts. 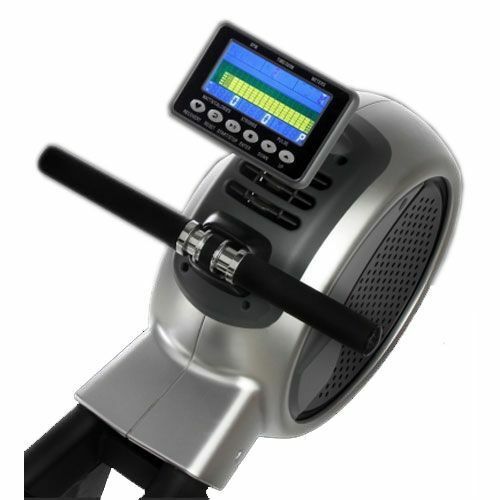 The DKN R-400 rowing machine not only looks stylish, but it also has sturdy construction that makes it one of the most stable rowers around. The drive belt is made of the same material as used in the automotive industry, making it not only very durable, but also very silent when in use. The extra long double seating rail makes the machine suitable for even the tallest of rowing enthusiasts. The DKN RoadRunner treadmill provides an impressive selection of features that make your workout effective and enjoyable. The treadmill has a 2.5 horsepower continuous duty motor that powers the belt to the top speed of 20km/h (12.5 mph). 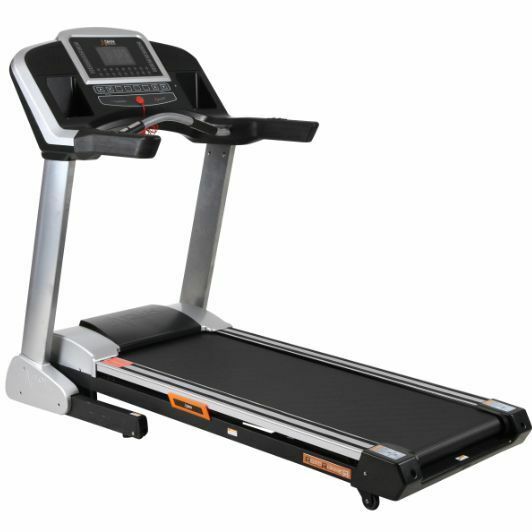 There is also a powerful 0-15% incline function. 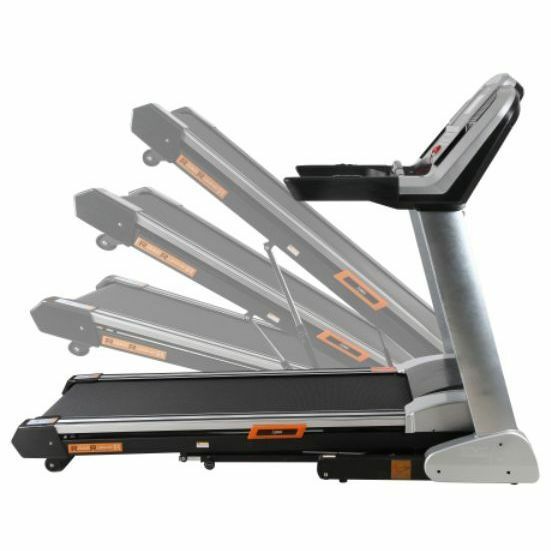 The running area is 143cm (56.3”) long and 53cm (21”) wide and its progressive shock absorbing system and hydraulic shock absorbing system minimize impact on your joints. 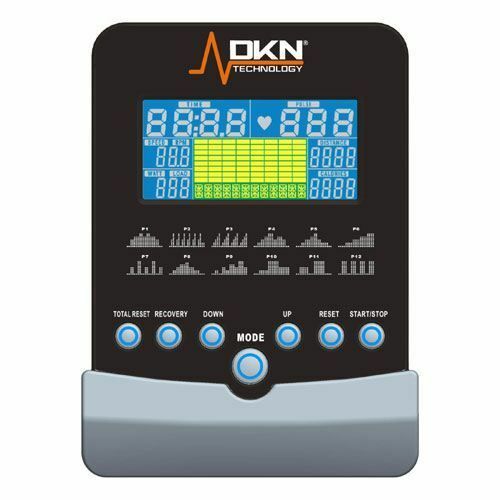 The large LCD console displays continuous exercise feedback and offers 28 motivating programmes, including 1 manual, 24 preset runs, 1 HR training and 2 user defined. The DKN RoadRunner treadmill is supplied with the new PID (Personal Infotainment Display) that features an iPod or MP3 connection, which enables you to exercise to your favourite music. 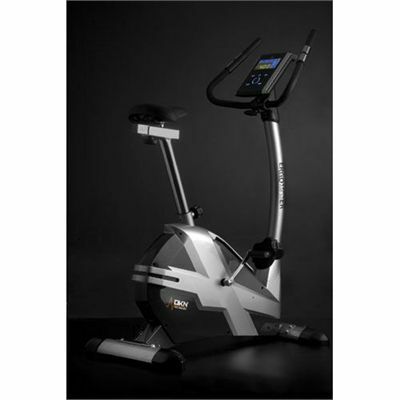 The DKN AM-3 exercise bike has an 11kg flywheel that ensures silky smooth pedaling action. 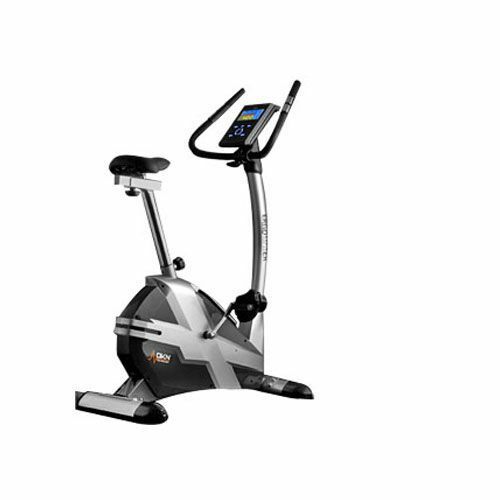 The exercise bike has 16 levels of computer controlled magnetic resistance and 19 programmes that provide challenging and motivating workouts. The two colour back lit LCD display provides detailed feedback on speed/rpm, time elapsed, distance covered, theoretical calorie burn, watts/energy expended and heart rate. 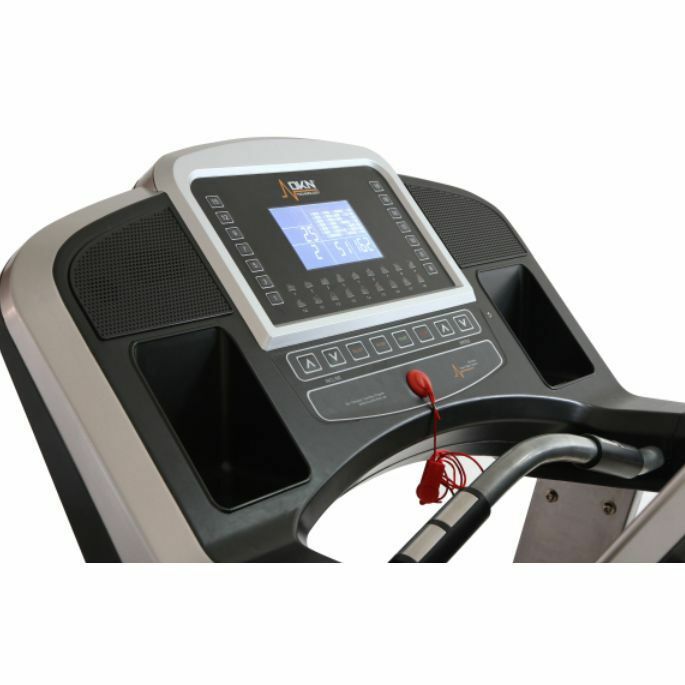 Heart rate measurement with AM-3 is easily achieved using the integrated pulse sensors in the handlebars or for the ultimate in accuracy, a chest belt can be used with the built-in receiver. The machine is supplied with a comfort gel covered saddle, equipped with a quick one-touch seat height adjusting, as well as horizontal seat modulation, which makes this ergometer a perfect match for every individual. 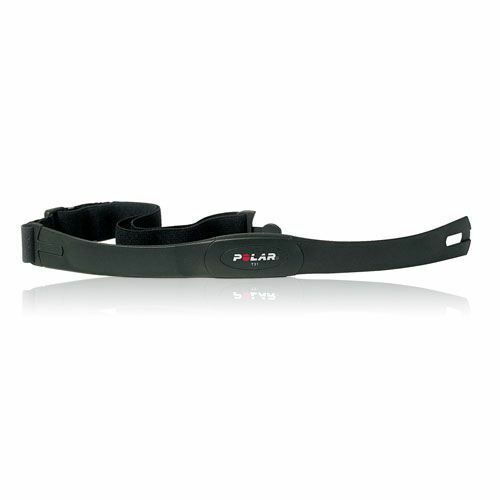 The Polar T31 uncoded transmitter precisely transmits your heart rate to your fitness equipment with a compatible wireless receiver, or to a wrist unit ECG (electrocardiogram). It provides a very accurate readout and enables you to keep track of your heart rate while exercising. The uncoded transmitter does not provide coding for interference-free transmission, but this does not decrease the readout accuracy. 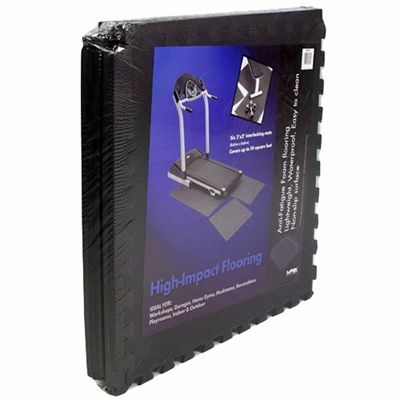 The 3 packs of Marcy 6-piece high impact mat protect the floor under your fitness equipment and can be joined together to cover an area of 6.74sq.m (72sq.ft). 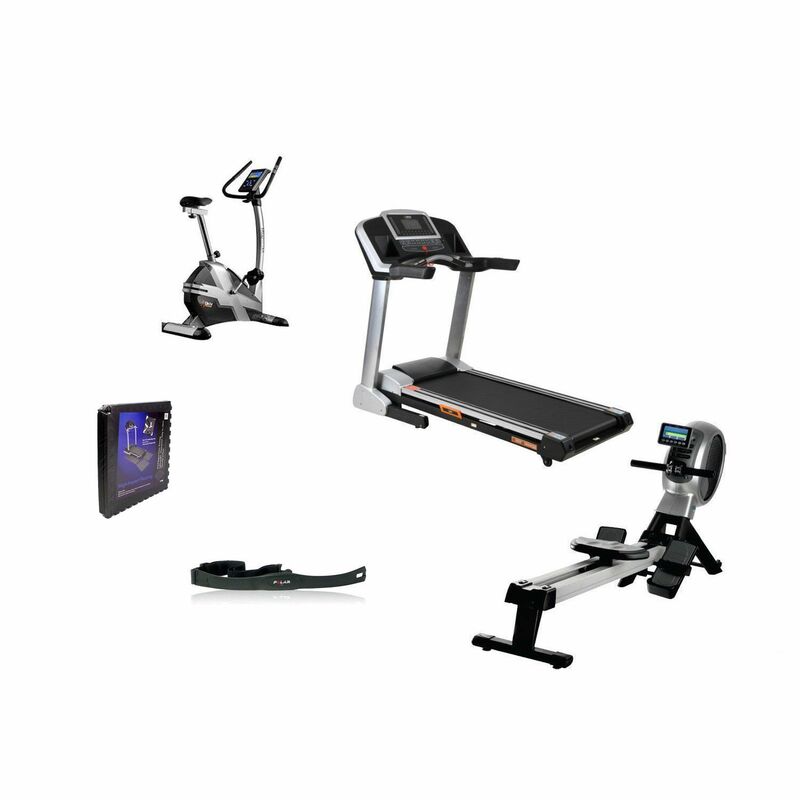 for submitting product review about DKN Complete Fitness Set.